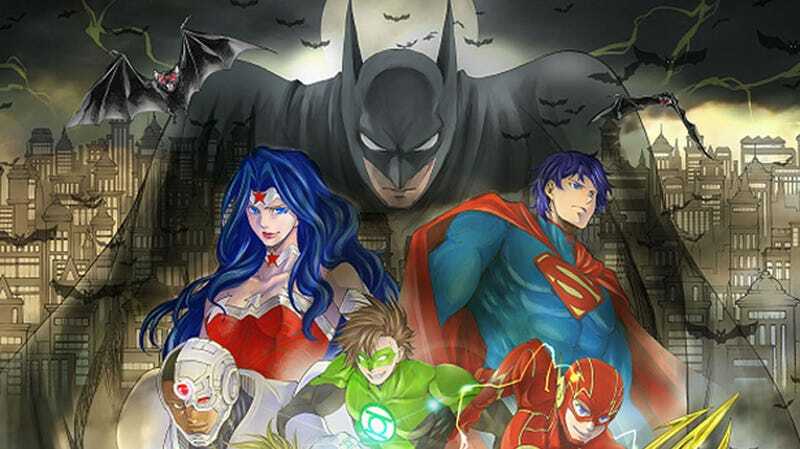 DC Comics has announced that it will publish in the west the manga of Shiori Teshirogui (Saint Seiya: The Lost Canvas) based on the DC Super Heroes:”Batman and the Justice League”. The first volume will be sold this October and will contain 200 pages. I have read some chapters in the “Seven Seas” and I have to say that on the first 3 chapters it feel very introductory, like the chapters focus more in getting the background of Batman, Super Man and the other members of the league while at the same time it gets all the pieces on it´s place; after that, in chapter 4, the thing spices up and it gets more action from that point on, so yeah.